History/Mythology: Stibnite is a form of antimony and as such should be used with extreme caution. Never allow it to come in contact with children or pets and always store it safely after use. A great way to use it is to put it into a seal cloth bag so that the vibration of the stone can come through and you do not handle the stone directly yourself. NEVER use in an elixir or essences. NB All Stibnite sold on this site comes with a velvet draw string bag to store your Stibnite in. Stibnite or Antimonite is a stone of manifestation and transformation that is particularly suited to the ever changing age that we live in. It will assist you to adjust to these changes and make the adjustment smoother and easier. 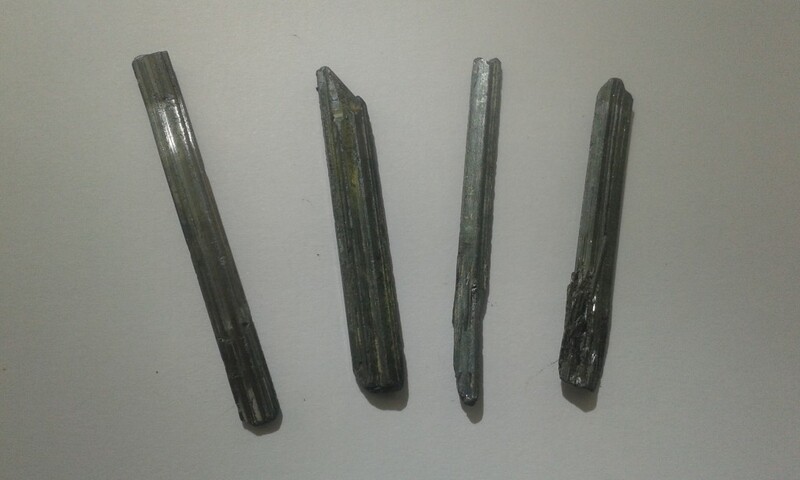 Stibnite is a wonderful stone for manifestation and will help you to find your true path, please be aware that your intent and focus need to be strong and true when using Stibnite as its vibration is very strong. Stibnite is a very grounding and protective stone and will assist you on your spiritual journey to have your feet firmly planted on the ground and protect against unwanted psychic attacked and strengthening your own auric field. Healing –Stomach and esophageal issues and muscle tension. Can be used in all meditations to bring about a deeper more protected meditative state. Wonderful as a healing tool to heal to pinpoint the issues of the illness.